Kuruva Island is one of the best tourist attraction spot in Wayanad. Kuruvadweep is a 950 acre protected river delta on the Kabini River in the Wayanad district, Kerala, India. It is one of the best perfect destination for nature lovers. This island of dense and evergreen forest is uninhabited and hence a home to rare kinds of flora and fauna, uncommon species of birds. Kuruvadweep is a small island on still riverside lake, and the island is an official natural reserve. 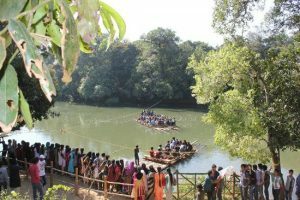 Kuruva Islands is a combination of 3 densely wooden islands and satellite islands that is an attraction for adventure lovers. Most of the honeymoon packages in Kerala will never miss this tourist spot. We can walk through the Island with a coolest breeze. You can also do trekking in Kuruva Island. Kuruva Island is actually a nature’s gift to Wayand. It was really a nice place to enjoy your vacations and trips. Boats and rafts are available here. Tourists from different parts of the world enjoy the rafting here. April and May was the best time to visit Kuruva Island. Entry to this island is restricted using rainy season (June to August). Edakkal caves are two natural caves at Edakkal. It was 25 kilometres away from Kalpetta. The Edakkal Caves was very much famous for its pictorial paintings. To reach the caves, one has to trek through the Ambukutty Mala. It will take around 45 minutes to climb the hill and you will never get disappointed in your trip to these historic caves.Many legends are there behind the formation of Edakkal caves. The trekking in Edakkal caves will be most adventurous. Inside the cave, you can see two chambers. The lower chamber is 18 ft long, 10 ft high and the upper chamber is 96 ft long, and 18 ft high. You can sight carvings of human, animal figures and objects used by humans, on the walls of the caves. These carvings give great evidence for a highly civilized society. The visiting time to Edakkal caves is from morning 9:30 to evening 4:30. You can reach the lower part of the Ambukutty hills via bus or car and from there you have to climb the hills.Edakkal is the only known place in India with Stone Age carvings.It was the best tourist place in Wayand that we must be visited. Soochipara Falls also known as Sentinel Rock Waterfalls is a three-tiered waterfall in Vellarimala, Wayanad. 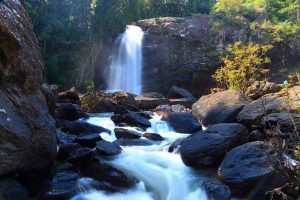 It is one of the popular tourist destination in Wayanad district.It was fully covered with deciduous and evergreen forests.. A 20 minute drive from Meppadi in Wayanad will take you to this splendid waterfall.On the way to fall you can see the beautiful and exclusive tea estate of Wayanad district. Soochipara Waterfalls need a bit of trekking to reach the waterfalls. The place is very clean and it was the best place to spend your time. You have to walk around 2 km to reach the waterfall. From the entrance you need to descend down to reach the falls. The water here cascades down from a height of 100 to 200 ft and this waterfall is an ideal place for trekking and rock climbing. There is a pool beneath this waterfalls and here you can go for swimming and bathing.Surrounded by cliffs this place calls out for adventure seekers and trekkers, rock climbers will love to come as this place offers excellent opportunity for climbing the cliff.This region receives the second highest rainfall in Wayanad. 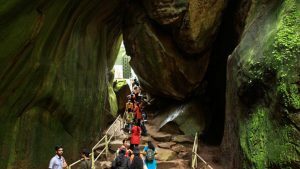 There are many caves on the rock face that are worth exploring.The water flow is less during summer, which makes it easy to reach the rocks where water falls. Lakkidi is the gateway of Wayanad district which was considered as the best sightseeing point of Wayanad. Lakkidi has a heavy rainfall with averaging 600–650 cm annually. The rains starts in May and ends in December. This place is really on the top of the hill and really gives you the view from Wayanad. You can see deep valley,curve road and vehicles surrounded by greenery. It is one of the richest biodiversity areas in the Western Ghats. 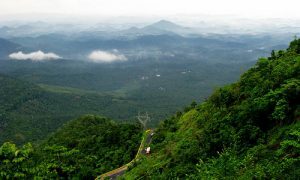 It is said to be coldest place in Wayanad district as well as one of coldest in Kerala. It experiences chilly climate throughout the year with mist and fog. 3 km from Lakkidi is the Pookot Lake, the natural fresh water lakethat was one of the rare reservoirs of water in Wayanad.This place has become a tourist spot that attracts a lot of tourist’s everyday. Lakkidi Village is a resort in between a hill locked valley and surrounded by the virgin forests. Here you can always feel whiff of fresh air like a blanket of mist and as we breeze it always energises our body. This beautiful hill town has a number of scenic locations and enchanting viewpoints. Lakkidi Viewpoint is a popular viewpoint which offers dazzling views of the surrounding cliffs and valleys.One can also spot some wild animals like leopards, tigers, elephants, spotted deer etc. here. Most of the people visit this place for enjoying the beauty of nature as well as for trekking. One can also spot some wild animals like leopards, tigers, elephants, spotted deer etc. here. Most of the people visit this place for enjoying the beauty of nature as well as for trekking. Banasura Sagar Dam is the largest dam in India and second largest in Asia. This is one of the most popular tourist places in Wayanad.The dam is situated in the middle of the most amazing and beautiful peaks in Wayanad and the dam has a beautiful view of the whole range from the top. The Banasura Sagar Dam is ideally placed in the foothills of Banasura hills. Most of the people visit the place to go trekking at the Banasura Hill& speed boating at Banasura Sagar Dam. It was surrounded with spectacular mountains. It is an important tourist’s attraction. Speed & pedal boats are available here.It is full of green grass on one side and other side has a charming lake which is open for boating too. Banasura is a suitable ideal place for the traveller who looks for a more wonderful experience than a mere vacation.One of the beautiful sights here is the set of islands in the dam’s reservoir, which was formed when the reservoir immerse the surrounding areas during monsoon season. Trekking is one of the top attractions in Banasura Sagar Dam. You can plan a trek to the dark forests of Banasura Peak. A boating trip in the lake and the dam is also a unique experience for the travellers. 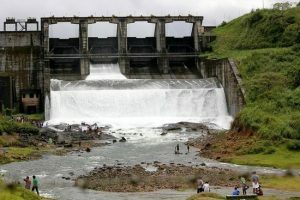 The best season to be at Banasura Sagar dam is from November to May. TOP 5 DESTINATIONS FOR TREKKING IN WAYANAD…. wayanad tour packages tour packages from kerala © 2017. All Rights Reserved.